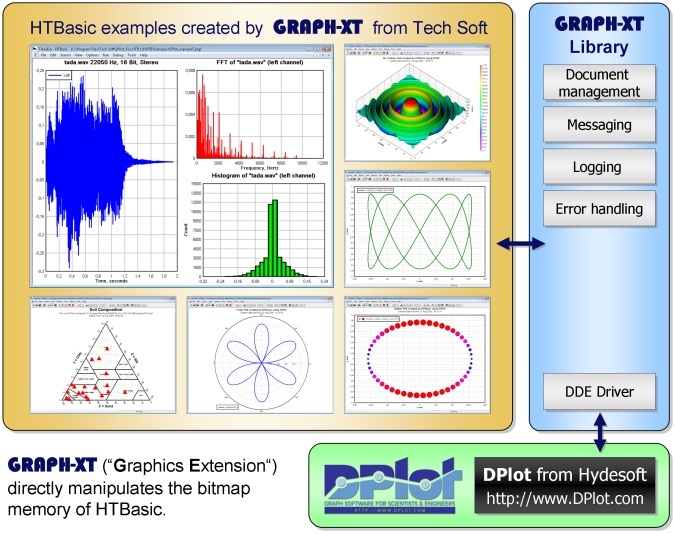 GRAPH-XT uses the power and flexibility of the commercial application DPlot from Hydesoft. The diagrams can be printed and mixed with the traditional HTBasic graphics commands. You can even re-size the HTBasic window and the graphics will automatically be re-scaled with just one function call ! 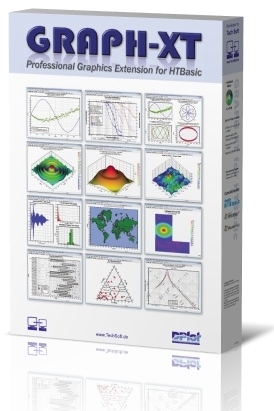 GRAPH-XT provides more than 50 functions in order to produce stunning 2D and 3D graphs. You get the full source code of the HTBasic library which allows you to add new functions or alter existing functions. 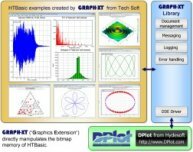 GRAPH-XT is another product developed by Tech Soft "made in Germany".